When nine-tenths of the world died horrifically, Robert Stokes lost everything, including his wife and his son. The world about him gradually descended into a second Dark Age, and the former policeman retreated into the woods near Nottingham, becoming a hunter, living off the land and avoiding any form of human contact... until now. When nine-tenths of the world died horrifically, Robert Stokes lost everything, including his wife and his son. The world about him gradually descended into a second Dark Age, and the former policeman retreated into the woods near Nottingham, becoming a hunter, living off the land and avoiding any form of human contact... until now. A new foreign despot, De Falaise, has looked on England and found it ripe for conquest. He leads an army of mercenaries through the Channel Tunnel and works his way up the country, pillaging as he goes. When De Falaise arrives at Nottingham and sets up his new dominion, Robert finds himself drawn reluctantly into the resistance, and assumes the mantle of the famous legend of Robin Hood, in a guerrilla war that will take him and his followers to the limits of endurance and beyond. 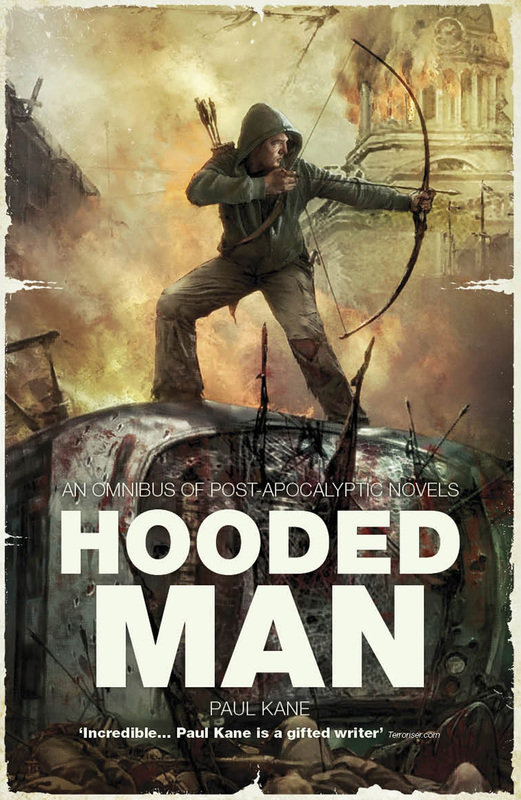 This omnibus collects the novels Arrowhead, Broken Arrow and Arrowland. This standalone omnibus is taken from The Afterblight Chronicles series. Other volumes include School's Out Forever by Scott K. Andrews and The Afterblight Chronciles: America by Simon Spurrier, Rebecca Levene and Al Ewing.